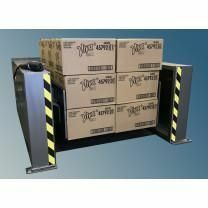 As a result of an ongoing search for material handling solutions, Newcastle’s product line has grown to include load transfer systems, pallet dispensers and stackers, load squaring and load stacking systems, sheet and board dispensers, automatic drum palletizers, case palletizers, and a full line of conveyors. In addition to their extensive line of products, their engineers have the ability to custom design equipment to meet your specific material handling application. Their standard and custom equipment is used in the food, chemical, pharmaceutical, automotive, and electronics industries. Newcastle Company offers highly advanced engineering technology, quality technical support, and a reputation that stands behind each machine that is sold.